As time passes I came to know that Google become more and more selective about taking any article into their account so being original to your content is need of the hour. 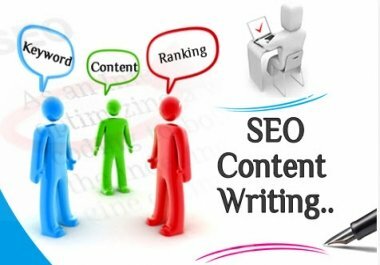 Along with writing original content making a SEO friendly content is also important. To make your article stand out in the front it’s now a need to stay on the topic of your blog. In this post I am not giving any code to install so to enhance your blog. These are some basic things you can do yourself to enhance your blog. First of all the starting of your Article you should start with words like I ,doing this will make people to take interested as they are learning from you. Next is to use words which are most liked by Google I am talking about keywords, use keywords related to your blog doing this will make your blog to appear on Google early than many other bloggers which does not know what to do. The most important is to write long post many website say “Longer is better” so I will also say the same. Including Image to your Article make it more attractive and let the visitors to engage to your articles. Do you have any question? Just comment below and I will answer to it.